Trent is an Accredited Cinematographer & Director. He has lived in Russia, China, Malaysia & Israel and worked on projects in over 40 countries. He has have produced, directed and filmed various genres, from documentary, drama, advertising, live TV, TV openers and special events. Trent has received over 20 awards from the Australian Cinematographers Society, including numerous Gold Awards. His work has contributed to winning entries into Human rights awards, Asian Television awards and Walkley Awards. He has worked on campaign films for: BHP, The Australian Formula One Grand Prix, Seek, Cricket Australia, Australian War Memorial, Optus, Bupa Insurance, Tennis Australia, NRL & State of Origin promos. In 2012, he received Accreditation by the Australian Cinematographer’s Society. Accreditation is the highest honour that can be bestowed to a member. It allows the member to use the letters ‘ACS’ after their name. 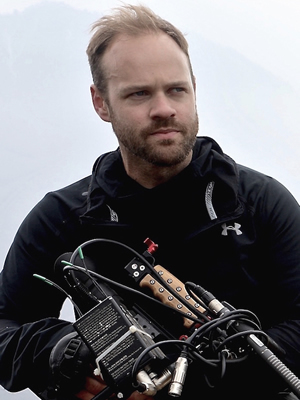 Trent regularly judges award entries for the Australian Cinematographers Society (ACS), Australian Academy of Cinema and Television Arts (AACTA) and the Australian Film Institute (AFI).